While researching DawnSinger (Tales of Faeraven 1), my epic fantasy novel based on 13th-Century Europe, I stumbled upon the history of England's Eleanor Crosses. I hope you enjoy discovering this royal love story as much as I did. Contrasted against the cruelty of the age in which they lived, the love story of King Edward I and his child bride, Eleanor of Castile, blossomed like a tender rose among thorns. Theirs was a marriage of political convenience, made when Edward was 15 and Eleanor somewhere between 9 and 13 years old (her birth date remains uncertain). Although they married early, they lived apart and did not consummate the marriage until Eleanor was probably in her late teens. In the years that followed, their marriage of convenience grew into a union of love marked by fidelity. Edward was one of the few kings of his time who did not take a mistress. He and Eleanor were inseparable. When Edward visited the Holy Land during the Eighth Crusade, he brought Eleanor along, and she delivered a daughter (Joanna of Acre) in a tent. Altogether, the couple had 15 or 16 children, many who did not survive childhood. Tragedy strikes. 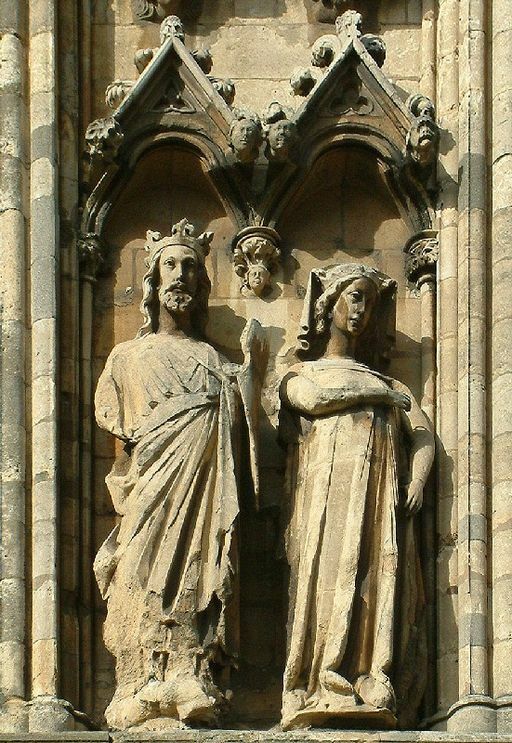 Eleanor and Edward were crowned King and Queen of England in August 1274, following the death of Henry III. Eleanor would live just 15 more years. While traveling to join her husband in the city of Lincoln in late fall of 1290, she grew ill, probably with quartan fever (malaria). She had to halt her journey just 10 miles from her destination, where with Edward at her bedside she died. In a solemn procession, Edward accompanied his wife’s embalmed body on a 12-day journey to its burial in Westminster Abbey. At each place her remains rested along the way, he erected “Eleanor Crosses,” elaborate stone monuments in her memory. In all, 12 crosses stood at Lincoln, Grantham, Stamford, Geddingston, Northampton, Stony Stratford, Woburn, Dunstable, St Albans, Waltham, Westcheap and Charing. Edward had probably seen memorial crosses in France after the death of King Louis IX in 1271, although construction of cenotaphs (empty tombs) were common in the ancient world. Feared feared among his subjects and by those nations he subdued King Edward I was called the Hammer of the Scots because of his bloody subjugation of that nation. This reputation has carried down through time. He is featured as a tyrant in the movie, Braveheart. And yet, Edward's tirelessly grief for his wife indicates he also possessed a softer nature. Many years after Eleanor’s death, Edward spoke of her as she “whom living we dearly cherished, and whom dead we cannot cease to love.” Although he eventually remarried, he continued to honor Eleanor’s memory until his own death in 1307. 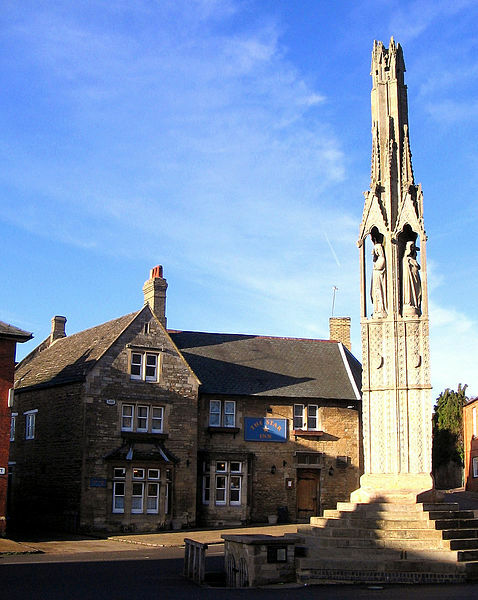 Today only the three Eleanor Crosses at Geddington, Hardingstone, and Waltham survive. All have lost the tall crosses they bore, but the lower stages remain. The best of the three (and the only one still in its original location) is at Geddington. Fragments of the ruined crosses at some of the other locations can be viewed as well. Lincoln: A fragment can be viewed at Lincoln Castle. Grantham: The Historical Notes on Grantham compiled in 1857 by Rev. B. Street, Curate at Grantham, tells what happened to its cross. "At the upper end of High-street, where it widens out West of St. Peter's Hill, stood a Cross of Stone, recording the resting of Queen Eleanor's corpse, at Grantham, in November, 1290. It was destroyed, together with other time hallowed monuments at Grantham, by the Parliamentary soldiers in the Civil War, most probably in 1645, when the town was garrisoned by the rebels under Colonel Rossiter. At the Alderman's Court, held Feb. 19, 1646, at the Guildhall, Grantham, it was ordered that the town Constables should recover, from those inhabitants who had appropriated them to their own use, as many as possible of the stones which came off the cross at the upper end of High-street, commonly called the Queen's Cross, and carry and lay them in the Church. A Mr Howgrave, apparently in a letter addressed to Gough, the Editor of Camden, says, "I saw a stone carved with foliage work, said to be part of it, and I believe it, seeming of that sort of work." This must have been in Charles the Second's reign. No known remnants of the original cross at Grantham remain. Stamford: The Stamford museum houses a marble fragment of the original Eleanor Cross. A reinterpretation of the Eleanor Cross was built in 2008. Geddington: This is the most intact Eleanor Cross and still stands in its original location. It is triangular, has drapery along its lower course, and contains a statue of Queen Eleanor. Hardingstone, Northampton: The British library offers a glimpse of how the Eleanor Cross situated at the edge of Delapré Abbey originally appeared. A local story has it that the cross at the top was knocked off during World War II by a low-flying aircraft. Octagonal in design, it was built in three tiers and features open books in its lower course. What these books contained is now lost in time. Stony Stratford: The exact location of this cross is now a matter of debate, but it may have stood at the lower end of town. Tall and elegant, it was destroyed during the English Civil War. Any trace of the ruined base has since vanished. A commemorative plaque in the town is the only reminder that it once existed. Woburn: The funeral procession stopped for the night at a Cistercian abbey that may have stood at the site of the later Woburn Abbey. No one knows the exact location of the Eleanor Cross that once stood at Woburn, and no known remnants exist. Dunstable: The Eleanor Cross was built at a crossroads where the local people gathered to mourn Eleanor's passing. A modern statue of Eleanor stands at a shopping precinct named in her honor. St Albans: A commemorative plaque on the Clock Tower is the lone reminder of the cross that once stood in High Street. It was pulled down to be replaced by a fountain, and then the town pump. Waltham (now Waltham Cross): The cross at Waltham still stands, although the original statues of Eleanor have been replaced by replicas. The originals now reside in the Victoria and Albert Museum. Victoria & Albert Museum. 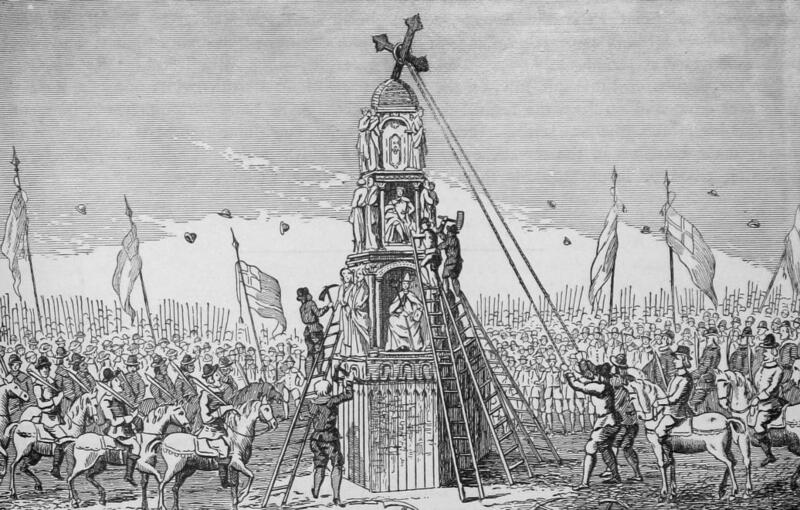 Westcheap (now Cheapside): Succombing to an ordinance from Parliamont, the Cheapside cross was pulled down amid riots. Fragments rest in the Museum of London, but although drawings that would enable reconstruction of the Cheapside cross exist, the attempt has never been made. Charing (now Charing Cross): Charing boasted an expensive marbe cross in a location on the south side of Trafalgar Square, but in 1647 this cross was destroyed on order of Parliament. A replacement cross went up in 1865 in front of Charing Cross railway station, but it is not an exact replica. Janalyn, this was awesome! As I was reading, I was picturing them leaving little wooden crosses along the way, but WOW, they were more like monuments. He truly loved her. Thank you so much for sharing and for giving the links to the pictures. Debbie, this love story caught me by the heart. I just had to tell it. Well, I tweeted both those links and shared on Facebook. God bless. History has a lot of fascinating stories, Connie. I enjoy bringing them to light. I didn't realize they were more like monuments either! So interesting, thank you for sharing! I'd love to see them in person. I never learnt of the history of the Eleanor Crosses, and what I found the most interesting, as the other commenters before me, is how tall and intricate these memorial statues became! I was so contained into your report, that I nearly didn't want the article to draw to a close! And, it didn't surprise me that the King's personal and public lives were in such difference to each other! I always tend to find, that even the man you think couldn't be sensitive or akin to love, is generally the one who falls the hardest and has the most difficulty in letting go once love is lost through death. I think his true self emerged through her love and through the close connection they shared as a married couple. Perhaps, the time he lived is not one we can readily judge against his reputation as soo much strife was ongoing and most of what was being fought for or against, is long since resolved. I simply wanted to thank you for opening up such a beautiful part of history, about one man's sojourn quest to immortalise the memory of his wife! Thanks for letting me know my post touched you, Jorie. Even across the ages, echoes of Edward's great love for Eleanor remain. Thanks for providing your own interesting perspective on the story. Wonderful post, Janalyn! Thanks for a fascinating read. I've been to Charing Cross, but didn't know the story. Thanks, Susan. I'd love to have even your memories of Charing Cross to reflect upon. I love this story. I do love the medieval time period and have scoured my books enjoying the wonderful true stories. I agree with you his devotion and love shows another side of this man. We hope to make it over to England, Scotland and a few other European countries sometime in the next few years. I hope I can see one of the monuments! Debbie, do you have room in your suitcase for a hitchhiker? LOL! Seriously, I hope you get the chance to follow up on this story, and maybe post about the experience on the blog! I love this story just beautiful...can't wait to read them all. Thank you, Eliza. You made me smile. This is a book totally beyond what I've read in love stories - I've gotta try it! I really love not knowing what to expect! That's funny, Melody. I just had a conversation on Twitter today with another writer on that same topic. Both of us have the sometimes-annoying ability to guess the end of movies and/or books. We agreed that our favorite stories were those that surprised us. Anyway, thank you, and I hope you enjoy reading DawnSinger. Thanks for sharing that amazing piece of history! I had never heard of the Eleanor crosses before. You're welcome, Jasmine. I hadn't either until my research turned them up, so to speak. I love YA fantasy. Looks like a great one!!! Thanks, Diane. 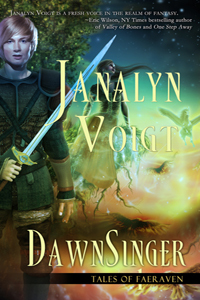 My main audience is actually adults, however DawnSinger also draws enthusiastic YA readers. I am new to Regency novels and love Historical Fiction. Thanks for sharing this amazing story. “whom living we dearly cherished, and whom dead we cannot cease to love” The cross at Geddington is so intricate. What we think of as "statues" were living souls commemorated. Years ago, I read 84, Charing Cross Road and loved it! It also was written into a play. 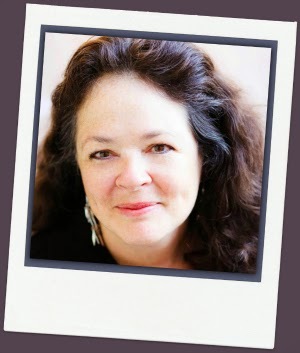 By Helene Hanff, it was a story of a true correspondence to a bookstore ~ now a Pizza Hut with no plaque of it's history! That sounds like an awesome book, Kathleen. I have never heard of the Eleanor crosses before. It sounds like this couple had the perfect love story. So sad that many of their children did not survive. I would love to add your book to the church library. Thanks for the opportunity to do so. That's how I feel, too, Bethany, which is why I love researching. Interesting story about love! I don't have a Kindle on which to read Dawnsinger - if I were to win a copy - but would like to be entered in the drawing for the Kindle. Thanks! I don't remember hearing about the Eleanor Crosses before, Janalyn. Very interesting! Thank you for bringing it to us. You're welcome, Ramona. Thanks for commenting. Wonderful post! I really enjoyed reading it and learning something new. I'm so glad you liked my post, Kay. Got you down, Linda. I'll announce winners in the morning. I am loving this March contest every day! Lots of good books and other prizes! Thanks for entering me. I'm glad you're having fun, Maxie. This is a wonderful prize. Thanks for having the giveaway. Why, thank you, Rose. My pleasure. I absolutely LOVED reading about Edward and Eleanor! There is nothing better than a love story with kings and queens but to read about two real rulers who truly were head over heels in love with each other is so refreshing! Too many times the "marriage of convenience" went sour - to hear of a king who did not have a mistress is noble indeed! Thank you for this wonderful peek into history and the give-a-way, I'd love to win a copy of DawnSinger! I love to bring such honoring stories to light. Too often they are forgotten. I'm learning so much and finding new authors everyday. So very interesting. Thank you. Hi, Missy. It's nice to meet you. Great post, Janalyn! I've never heard of the Eleanor Crosses before. It's a fascinating story. Thanks, Vickie. Isn't it fun to learn about history? Thank you so much for this post with all the included links to pictures. They were beautiful! I'm glad you enjoyed my post, Cindy. You just made it into the drawing. I'm about to assign winners. Using an online randomizer, I've assigned the winners of Kindle copies of DawnSinger (Tales of Faeraven 1). Congratulations go to Connie, Mary, and Rose! I've sent notifications and a gift purchase notice from Amazon to each of the winners. Thanks to all who participated. You made the giveaway a lot of fun. Interesting post, might have to share it! I have heard of the story of Edward and Eleanor before, and of the Eleanor Crosses. He truly did seem to love her deeply- which just goes to show that arranged marriages of convenience could turn into love matches. As to them having lived apart for first few years of their marriage, I think they may have simply been following church law, which I believe stipulated that a marriage could not be consummated until the girl was at least 12, or that the partners could not live together until she was 16. It was something like that according to what I have heard anyway. Personally, Edward I is one of those maligned historical figures whom I seem to be quite interested in, and question whether he really was as bad as he is made out to be. Though he did have all the Jews expelled from England, and that was certainly bad- and it seems to have been after the expulsion that Eleanor died and other things seemed to have star going awry for him. What a fascinating perspective you've provided, Bookish. Thanks. Well, I know I am too late to win the book but I wanted to say that it looks good! Thanks, Bookish. I appreciate your interest. Oh I have never heard of your books but am adding them to my to read list! That's good to know. Thanks, Lisa.